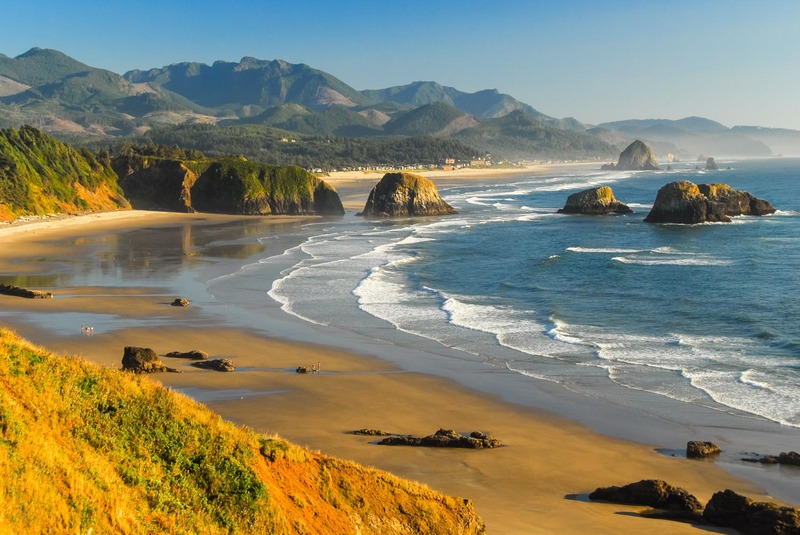 The Pacific Ocean has been kind to Oregon, blessing it with cool, rugged beauty. Frothy waves lap the shores of Ecola State Park, and just inland a lush Sitka spruce forest is home to wildlife like Roosevelt elk and bald eagles. For a delightful excursion, drive over to dramatic Three Capes Scenic Drive – and stop for a beer or meal at Pelican Pub & Brewery. For a bit of big-city culture condensed into small-town life, head to Astoria, the first permanent US settlement on the Pacific coast, and a pretty one to boot. Newport is another good destination, with a first-rate aquarium for the kiddies. Darling little hamlets to explore include Yachats (boasting amazing rock formations), Bandon (strewn with cute boutiques) and scenic (along with well-located) Port Orford.